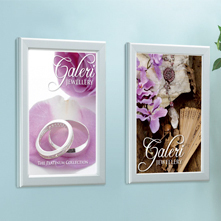 Durable framework with a printed advertisement. 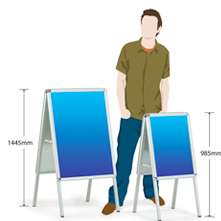 Double sided graphics 750mm x 500mm. Available with white or black frame. 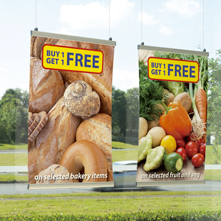 £95.00 Effective outdoor display. 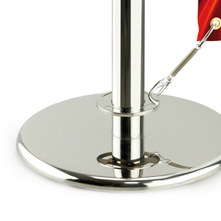 The spring mounted poster holder provides a double sided snapframe method to securely grip posters in place. A1&A2. 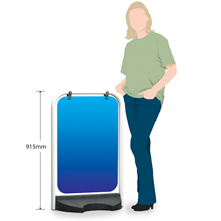 £145.00 Suitable for indoor and outdoor locations, the easy to change snapframe holds the posters in place. 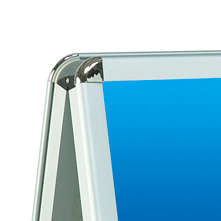 Available in AO, A1, A2 sizes.£65.00 32mm aluminium profile with chrome rounded corners. 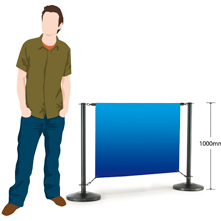 Value for money barrier system. 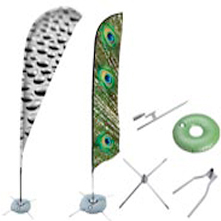 Loop graphic fixings single or double sided. 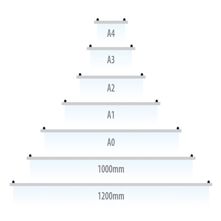 Available in 1200mm, 1500mm and 2000mm lengths.£85.00 Dome weighted base for stability, wall fixing bracket available. 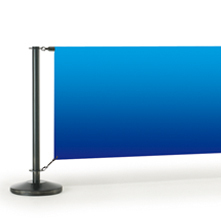 Contemporary barrier system with chrome base and posts. Perfect for internal or external use. 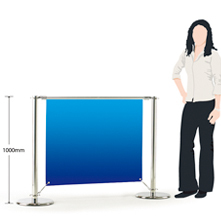 Available in 1200mm, 1500mm, 2000mm lengths.£99.00 Durable chrome base and posts for use with flexible graphic substrates single or double sided. 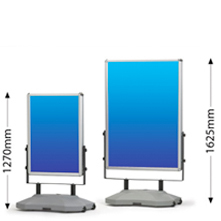 Telephone : 0114 251 8807 Email us : info@vivid-display.com Please feel free to get in touch at any time, we are here to help.